Fans in Tel Aviv went wild after Israel's Netta Barzilai won the Eurovision Song Contest with her song "Toy." One of her fans, a fellow musician, was delighted that a plus-sized woman had won. "She is voluptuous, she is so beautiful and she is an example for all the plus-size ladies all over the world, they can win, we can win ladies," Adi Doron said. Israel's Prime Minister Benjamin Netanyahu said Netta was "wonderful" - but he was unlikely to have been impressed by Microsoft's mistranslation of his Hebrew tweet. "Neta you're a real cow. You have brought much respect for the State of Israel! Next year in Jerusalem!" It was later changed to: "Netta, you're such a darling." 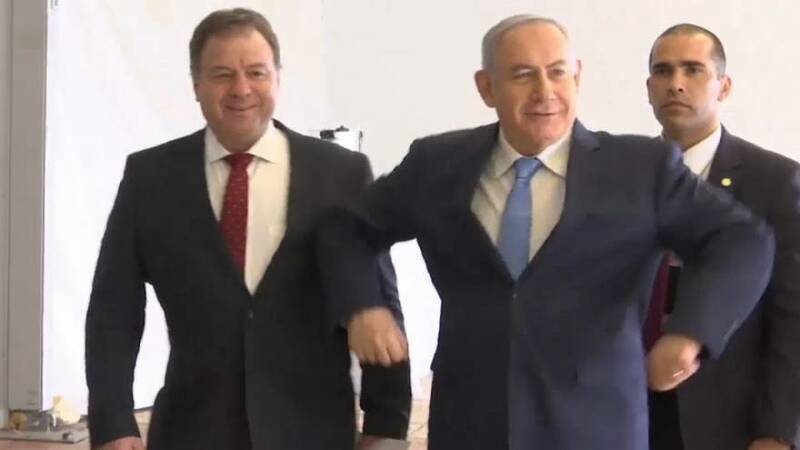 Hoever, going into his Sunday cabinet meeting Bibi couldn't resist a stab at the "chicken dance."